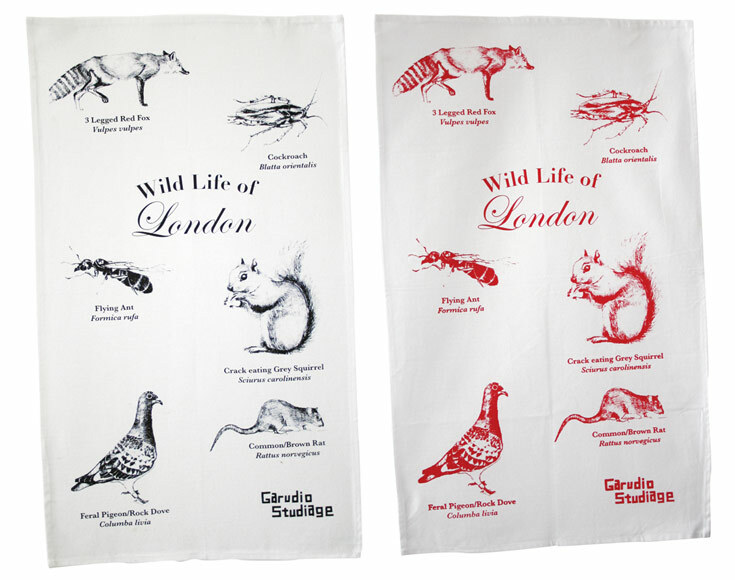 These handprinted tea-towels from Peckham, show all the lovely wildlife on the doorstep! ACE! To wash up with these grimy London inhabitants, buy one from the shop of garudio studiage , only £8 too>> Bargain! ….. This entry was posted in Uncategorized and tagged craft, design, garudio studiage, illustration, print, product design, tea towel, textiles. Bookmark the permalink.